My daughter commented this morning that New Years Eve is anticlimactic and that she doesn’t really understand what all the fuss and excitement is about. Though I can understand her point of view to some extent, as I’ve watched the ball drop in Time Square every year from the comfort of my sofa for as long as I can remember, I explained to her that New Years Eve represents a time of reflection and hope. That it’s a time when we think about all that was and wasn’t accomplished in the past year, and what we dream to accomplish in the year ahead. For me this past year was a good year. The family was all healthy, the kids did well in school and their careers, my job went well, and I finally got my private pilot’s certificate. I also got a chance to visit a number of areas of the world including Europe, Asia, California, and the Caribbean. Considering the state of our country and the economic and political upheavals around the world, I feel very fortunate. About the only personal negative was Google’s Panda search engine update that continued to plague HomeAdditionPlus.com and much of the rest of the internet in 2011. But even monopolistic Google couldn’t dampen my spirits that much this year. I’m also very hopeful for the year ahead. 2012 is a presidential election year and I’m very optimistic that the Great Pretender will be sent packing and will be replaced by a person of real substance and experience. With even just the hope of real change in the political climate, I’m confident the stock market will continue to rise, and that the businesses climate will improve and more people will find jobs. Simply the thought of a new political leadership landscape that is interested in producing more domestic oil in North America alone in the next 12 to 18 months should be a boon for the economy as soon as the first half of 2012. Couple that thought with less red tape for businesses and a stable tax environment, corporations and the stock market should be giddy in the months ahead. And yes, that giddiness will trickle down in the form of new jobs and hiring, and an improved housing market. My only real fear is that people won’t realize why the stock market is rallying prior to the presidential election and that the Great Pretender gets re-elected. To be crystal clear, the stock market will rally because of future expectations, rather than current economic policies that have hamstrung this country for 3 plus years. For Europe I’m also hopeful. Although, I believe more days of reckoning are still ahead for them in the next 3 to 6 months and that their economic maturity growing pains will inflict occasional aches on the world markets. With an improving United States economy, however, I believe the aches felt around the world will be tempered. I also think China will see renewed growth as their inflation levels are beginning to recede. With lower inflation, the Chinese government will be able to go back to its policies of pro-growth by easing its monetary policy. The only real concern in 2012 is the Middle East. It will most likely continue to be a hotbed of fomenting political hatred between its own people and factions in Egypt, Turkey, Iraq, Iran, Syria, Yemen, and Saudi Arabia. Diplomacy, and the threat of a big stick, will be key to keeping the peace inside and outside of those countries. So to conclude, 2011 was again another difficult year for the world including the U.S., Europe, Asia, and the Middle East. No doubt 2012 will have its challenges as well, particularly in the Middle East. However, I am very optimistic for the United States. 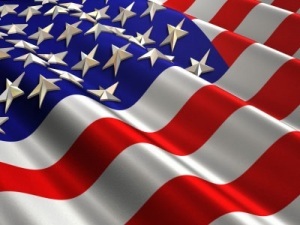 I believe with a change in the White House the citizens of this country will rally to a President who is truly proud of his country and communicates a positive message to its people. With time off this week I’ve been making a few minor home repairs around the house. 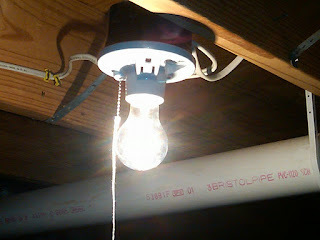 Yesterday morning’s project was installing a new pull chain light fixture in the basement. The light switch pull cord had snapped off at the base of the light fixture and there was virtually no way to reattach it. Consequently I found myself running off to the local home improvement center to find a replacement. The store had plastic ones for around $1 and porcelain ones for around $4. I went with the porcelain pull chain light fixture as it also had integrated into it an electrical outlet socket. I figured the socket could come in handy at some point. Installing, or should I say replacing, a pull chain light fixture is very easy to do. Just make sure to turn off power at the main circuit panel before working on it. My pull chain light fixture broke in the ON position, so for a couple of weeks we simply rotated the bulb counterclockwise or clockwise to turn if OFF or ON. With the bulb screwed in and the light ON I simply had to confirm the bulb turned OFF when I threw the circuit breaker at the main panel to ensure there was no power feeding it. I then loosened the two screws that held the light fixture to the electrical outlet box. Afterwards I pulled the fixture away from the outlet box and used a screwdriver to loosen the wires that were attached to it. There were two white wires attached to the silver screw and 2 gold wires attached to the gold screws. The bare ground wire was not attached. I then wired in the new pull chain light fixture exactly as I had seen it with the old one. This one also had a green screw for the ground wire so I attached it as well. I then pushed the new light fixture in place and reattached the two mounting screws to hold it firmly up against the electrical outlet box. I then attached the pull string to the small chain that hung from the base of the unit. Finally I screwed a light bulb into the socket and turned the circuit breaker back on. With one pull on the string my new pull chain light fixture was operational. 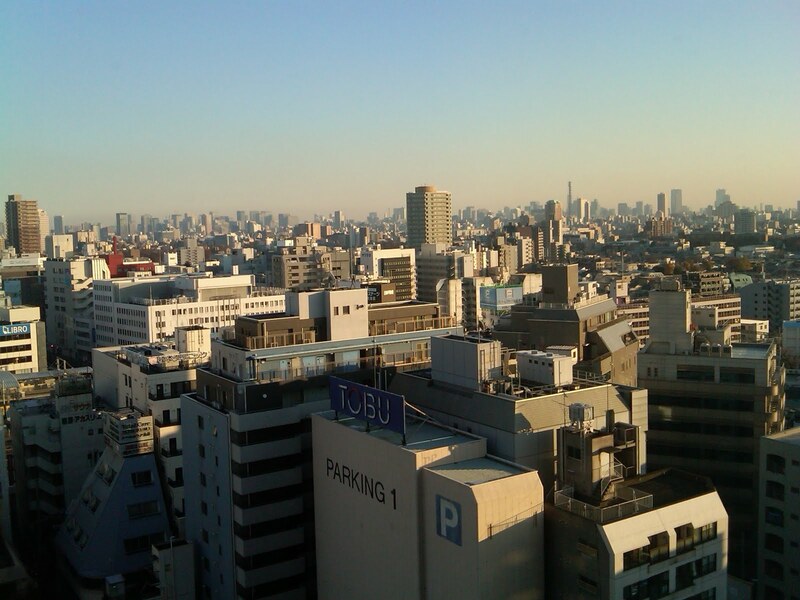 As I spend this weekend whiling away the time looking out the 14th floor window of my hotel room in Tokyo, Japan, I can’t help but marvel and reflect at the sea of concrete and people as far as the eye can see. There’s a feeling of loneliness in me as I look out at such a sea of humanity. I’m not sure quite why. I’m sure some of the reason is I simply miss my family. But I also think it’s due heavily in part to how insignificant I realize each one of us is in relationship to the Earth and as a species as a whole. Looking down at street level I see waves of people scurrying to and from the Ikebukuro train station, each with their own purpose and mission. Each too with their own goals, hopes, and crosses to bear, as is the case with every human being. Several floors below me there’s an outdoor Christian chapel associated with the hotel. In just this one weekend I’ve counted at least 6 weddings, with each bride in a beautiful white gown and their betrothed husband in a luxurious tuxedo. As each newlywed couple walked the short 50 feet from the stairs of the chapel to the back of the deck court yard, their family and friends clapped and tossed rose petals over their heads to celebrate their union. Such the dichotomy, to see so sacred and private an event between newly joined couples, against the unending background maze of concrete buildings. As I watched the weddings, it provided me with some reassuring comfort to see that there are still people out there in this world who believe in a religious value system and tradition. And even more so when you consider the fact that they appeared to be Christian weddings, in a country where the majority of citizens either practice Shinto or Buddhism. At night, the Tokyo skyline is lit up in all directions. Most eerily is the sight of thousands of blinking red lights atop all the buildings. No two are in sync with each other. As a result, the night sky looks abuzz with a swarm of red flashing fireflies. There’s also the regular sound of two-tone sirens going by on the streets below. Often there is an accompanying amplified voice over the siren sound, most likely warning people to clear the road ahead. The voice seems to add a sense of panic to the situation, rather than urgency. I think part of the emptiness I feel in Tokyo is also due in part to the country’s demographics. To say it’s a homogenous population is an understatement. As I walked the streets and train stations, amongst the tens of thousands of people I saw, only a handful were westerners. So different than the United States where it truly is a melting pot of races and cultures from all around the world. Consequently other than the hotel and airport, very few people speak any other language than Japanese. Similarly, restaurant choices are limited mainly to Japanese and Asian cuisine. Albeit I did find a McDonalds and a Krispy Kreme Donut store, but I chose not to patronage them. But all this said, the Japanese are an extremely friendly and helpful people. All that I spoke with, or tried to speak with, worked with me to answer my questions or to point me in the right direction. Some even pulled out their cell phones to help translate words for me. I think it also helped that I learned a few basic Japanese words to show some respect for them and their country. Knowing how to say at least hello and thank you in the language associated with the country you’re visiting should be a must-do for every traveler. 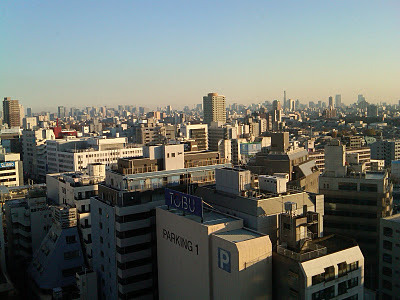 So though I feel a little lost, humbled, and diminutive by the sheer size of Tokyo, Japan and its population, I can’t help but marvel and be encouraged to see that life still goes on at the most basic level between its people and its visitors in such a vast place. And when you consider that just a few short months ago this country faced one of the most cataclysmic and devastating events in recent history, it is even more encouraging to see how life continues to move forward. With the weekend nearly over now, my remaining days in Japan will be much faster pace with many customer visits and traveling throughout the country. And I look forward to it. But though I’ve missed my home and family this weekend, I’ve also appreciated the chance to see life from slightly afar and from a fishbowl. It continues to be a personal event for individuals and families, even in a city of 13 million plus people. Recently I began to notice in our bathroom a small patch of popcorn ceiling material falling away from the drywall ceiling. At first, the spot was only about 1 inch in diameter. However within a couple of weeks it increased to 2 to 3 inches in diameter. I wasn’t sure what the cause was due to the fact that there was no apparent water stain on or near the affected area. I went up into the attic to make sure there was indeed no water related issues that was causing the popcorn ceiling to pull away from the drywall. Again, I saw no telltale water signs that could indicate it was the source of my problem. In the end I chalked up the problem due to simply age. The home is nearly 23 years old and a bathroom has higher than normal moisture levels in it. Consequently I began figuring out my best solution for doing a popcorn ceiling repair. There is a number of popcorn ceiling products on the market today that you can choose from to do small popcorn ceiling repairs. Normally I’ve used a simple tub of pre-mixed popcorn ceiling mixture and spread it using a small putty knife. Usually you can find pre-mixed popcorn ceiling mixture in various texture thicknesses, so you can typically find one that matches any popcorn ceiling texture. For this popcorn ceiling repair project, however, I decided to try a spray on popcorn ceiling repair product. In a nutshell I was not happy with it. It sprayed all over the place and made quite the mess, even though I had placed a large sheet of cardboard under the affected area. In addition, it did not create a popcorn ceiling texture that resembled the existing ceiling. Consequently I ended up scraping it off and resorting to the tried and tested tub of pre-mixed popcorn ceiling mixture. I applied it with a 3 inch wide drywall taping knife. After 24 hours it dried to a white color that matched the ceiling color exactly. The patch is slightly noticeable due to a slight difference in texture appearance, however it is a far cry from looking up and seeing bare drywall. When doing a popcorn ceiling repair project make sure to first scrape away the loose popcorn ceiling using a putty knife. If you do not do this you’ll end up with a bigger mess. As you attempt to apply the popcorn ceiling repair product you’ll wind up pulling off the existing loose popcorn ceiling material. Also, many of the popcorn ceiling repair products suggest priming the drywall area after removing the old popcorn ceiling mixture. I’ve not done this and have never had an issue with the repair popcorn ceiling mixture sticking to the drywall.